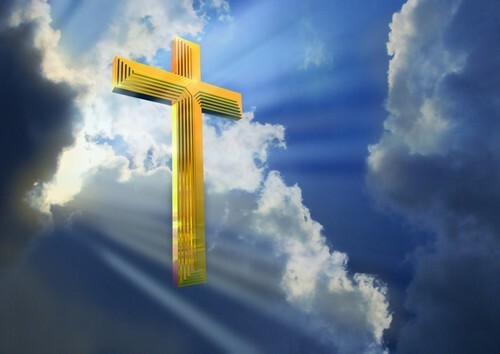 येशु पार करना, क्रॉस in heaven. . HD Wallpaper and background images in the येशु club tagged: jesus love image photo cross heaven. This येशु photo might contain पवन चक्की, पवन टरबाइन, व्यापार जिले, शहर, व्यापार जिला, डाउनटाउन, and नियंत्रण टॉवर.